Here in Jupiter, we are blessed to have been spared the worst of Hurricane Matthew. Other places, such as Haiti and the Bahamas, were not so fortunate. This morning, on the television, I watched people being rescued from their roofs in North Carolina amid flooding rains (18 inches in Wilmington, 14 inches in Fayetteville, and 8 inches in Raleigh). So far, 18 people in the United States have died as a result of Matthew. Over 500 people in Haiti lost their lives. Yes, I know, Jim Cantore may appear to be blowing the whole thing out of proportion – no pun intended – as he stands on a beach with crashing surf in the background, struggling to yell into a microphone in 80 mph winds. But for those of you out there who think a hurricane is a “non-event,” just remember others in the Caribbean and the Southeastern U.S. who have lost their homes and loved ones in this natural disaster. Farm dog Blue stands outside my parent’s shuttered home in Jupiter Farms. Preparation is the key to successfully riding out any hurricane and, lucky for me, I don’t really have the photographs to show you how it’s done. Matthew was hardly anything more than an awful thunderstorm as it passed by us in the Atlantic last week. BUT, we were prepared and I was actually excited to show you how we “tough it out” by documenting hurricane gourmet meals, how to use the generator, and the ups and downs of debris removal. Thankfully, I only have photos of us impatiently waiting for the storm at the homestead (and my pictures of the “aftermath” are pitiful). Our porch and den boarded up ahead of Hurricane Matthew. Know if your home is located in an evacuation zone and locate evacuation shelters in your area. If you’re not located in an evacuation zone, designate a “safe room” in your home without windows, such as a bathroom or hallway. Fill your vehicle gas tanks. 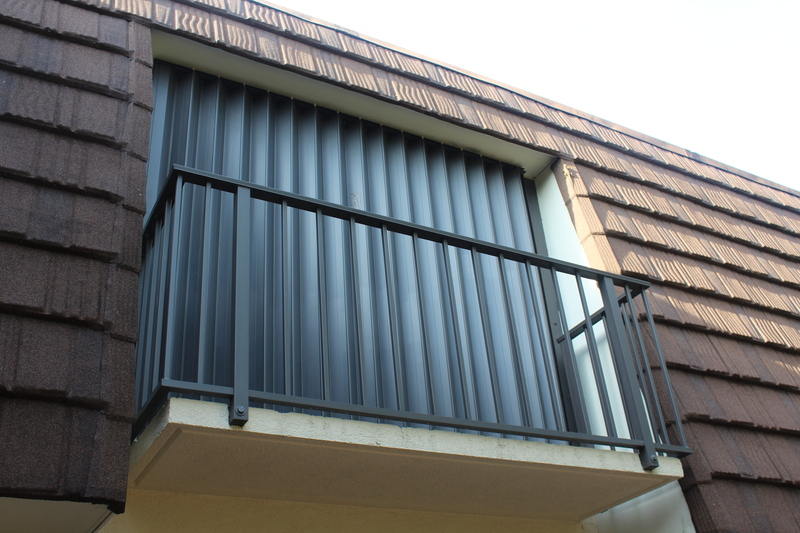 Install and close hurricane shutters. If you do not have shutters, purchase and install plywood over windows and doors. Move patio furniture and plants indoors. Set your refrigerator to the coldest setting. All of our patio furniture and plants packed into our living room before Hurricane Matthew. I sent P out for hurricane supplies at Costco. This is what I got. We could always use Teddy as a shield from flying debris. It is extremely important to be able to laugh during a hurricane. By all means, please take the storm seriously, but always leave room for laughter. You may be without electricity for weeks, you may be smelly, you may have to eat cold beans from cans for days (hence, the smelliness), you may have to associate with people who haven’t showered in 72 hours while doing backbreaking labor in a sub-tropical climate (Did you forget antiperspirant in your hurricane survival kit?). You just might have to be locked in a stairwell with your in-laws while the eye passes over your apartment building. In a worst case scenario, your home may be gone or uninhabitable. You’re going to need a good laugh, so always pack your sense of humor. Make the hurricane a special occasion. This may seem like a dumb tip but imagine if you treated hurricane preparation the same way you packed for an exotic vacation. If you’re anything like me, you lay all of your clothes and toiletries out on your bed to make sure you have everything checked off your list before you stuff it all in your suitcase. So… instead of your bathing suit, cocktail dress, and strappy sandals, just pack your waders, yard-work clothes, and a case of bottled water. For example, I called my mother the Wednesday before Matthew was scheduled to make landfall in Florida and she informed me that she was baking cookies. If we have to eat dry, canned, and pre-cooked foods during a power outage, why couldn’t we munch on something delicious? (JUP Mama makes the best cookies). Use the term “special occasion” loosely – for us, it was drinking gourmet coffee with the pup on a golf cart in 20 mph winds. Special indeed. Hurricane parties may nor may not be overrated. Personally, I’d rather not party before a hurricane. I hate hangovers, much less a hangover without electricity and running water (On the plus side, you can always barricade yourself in a dark room to recover without looking suspicious). A huge part of riding out a hurricane involves sitting in the dark listening to the wind and rain of the storm batter your house. Unless you’re the kind of drinker who passes out cold after a few, I wouldn’t recommend throwing a massive party in the path of a hurricane. Think of the cleanup! However, I have been known to sneak in a margarita when the going gets tough. Check out JUP Mama’s recipe for homemade, fresh squeezed margaritas here. Stock up on activities that don’t require electricity. Moving the flat screen television from the “man cave” into the house so that the boys can power it with the generator after the storm. This is my favorite part of a hurricane’s aftermath. Although I do dreadfully miss the air conditioning (we can’t run the A/C with our generator), I don’t miss the television. I know that the second the wind and rain has passed and our generator is fired up that the endless television watching will resume… if there’s cable (fingers crossed). So I cherish those hours without electricity as some good old-fashioned family time. Play a game. We have a large assortment of board games left over from my childhood: Sorry!, Trouble, Yahtzee, Go Fish, Old Maid. Pull one out and play by your flashlight. Eat. Because that’s always fun. If you don’t have a generator, eat things as they begin to thaw out in the refrigerator or freezer. Dig into that carton of ice cream with four spoons. There’s no judgement during a hurricane. Find a radio station that isn’t broadcasting hurricane info and have a dance party. Or, if you have a battery operated boom box (old-school, yes), put on an 70’s or 80’s cassette tape or a 90’s CD. Jam out to some Backstreet Boys and Brittney Spears. Or Earth, Wind, and Fire. Or the Rolling Stones. Blue watches the television being returned to the Man Cave. The television is returned to the Man Cave after the storm. Ready for more televised sports! Accept the hurricane experience as practice for nearly every major disaster. Fallen tree branches are better than nuclear fallout. I remember reading the novel Alas Babylon in the tenth grade and thinking that Floridians are more qualified for surviving the nuclear holocaust than any of the other United States. It’s been years since I’ve picked up the book about the residents of a small town in Central Florida called Fort Repose and their efforts to carry-on after all modern conveniences are wiped out from the atomic bomb. However, I will always remember one of the characters, little Ben Franklin, filling up all the pails, sinks, and bathtubs in the house with water because apparently that’s what you do when the Soviet Union is bombing you. I thought it sounded awfully familiar to what you do when a hurricane is approaching. Author Pat Frank writes, “Thus the lights went out, and in that moment civilization in Fort Repose retreated a hundred years. So ended The Day.” So, as you sit in your house with the hurricane winds swirling around you and the power flickers, just remind yourself it’s preparation for the end of the world. You can never be over-prepared. Everything you purchase now can be put to good use. In fact, you can donate your non-expired canned goods to those in need, both locally and internationally. Yes, you may have stocked up on 10 cans of baked beans and you can’t possibly eat them all. Why not drop some extras off at your neighborhood food pantry or homeless shelter? Check out this article from The Palm Beach Post, inspired by Delray Beach resident Rose Byrnes, who wrote a letter to the paper urging readers to donate their unused hurricane supplies rather than throw them away. What a good neighbor! How do you and your family prepare for a hurricane? Blue and P after a long day of putting up hurricane shutters. Love you too Aunt Joan!